A couple of years ago I found myself unavoidably detained for a whole morning and part of an afternoon in a place called Orpington. If you don't know Orpington if you think of somewhere like Crosby, or Oxten or Wallasey and multiply it by ten you get somewhere near Orpington. I had to spend a whole morning there - it was early spring, it was very beautiful - the gardens were flowering and I suddenly had this kind of little nagging thought that I couldn't quite...and I wrote lots of things in my little notebook and went away and then a few months later I realised what the thought was which was if the world was ever going to end it would start ending in Orpington. So this begins with a little bit of my version of Mother Shipton's Prophecy. This is called 'Death in the Suburbs'. frozen veils of appleblossom round every doorway. from Collected Poems: 1967-1985 (Alison & Busby, 1986), copyright © Adrian Henri, by permission of Rogers, Coleridge & White Ltd, 20 Powis Mews, London. 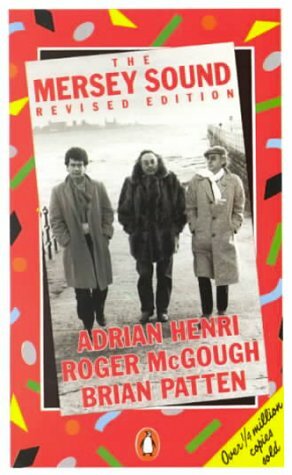 Recorded in Liverpool, 5 October 1982, used by permission of the British Library Sound Archive.